The Copernic statue photo is the only photo in my collection that represents Poland that wasn’t shot in Poland. Before telling you why, here is a little bit of history around that statue. There are 3 identical Copernic statues in the world: The original is in Warsaw, and the two other copies are in Montreal and Chicago. The statue in Montreal is a gift from Poland to Canada in 1966. It was exhibited at the world event of Expo 67. In 1968, it was displayed next to the planetarium in Montreal, and moved next to the new planetarium in 2014. For those who don’t know Copernic, he is a Polish astronomer who first lay down the theory that the planets revolve around the sun, that’s why he is holding the solar system in his hand. When I first saw that statue in Warsaw, my idea was to put the sun right at the center of the solar system he is holding. Because of the surroundings and the angle of the statue in Warsaw, it’s not possible to place the sun at the center of the solar system, but when I saw the statue in Montreal, it was a different story. 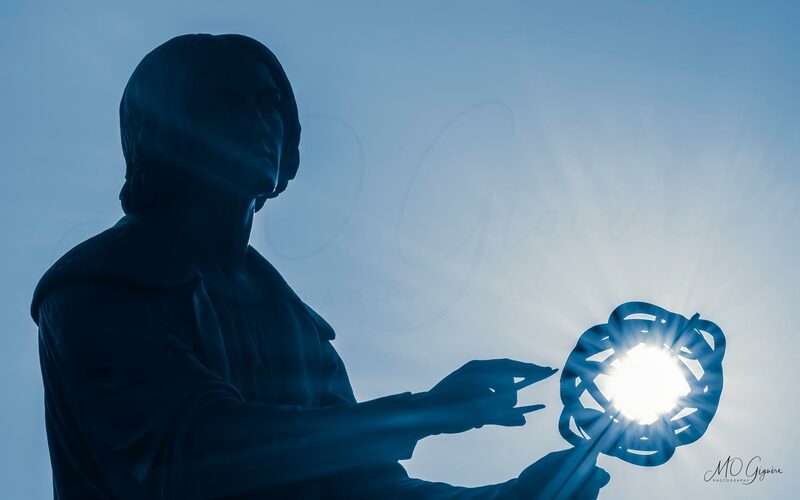 The surroundings and the angle of the statue (at the right time of the year of course) allowed me to place the sun right at the center of the solar system. That’s the reason why the present photo was shot in Montreal. The photo now has much more power because of the real sun being at the center of the solar system; this is where the sun should be, right? The photo has not been tampered with in Photoshop. The sun rays are authentic. 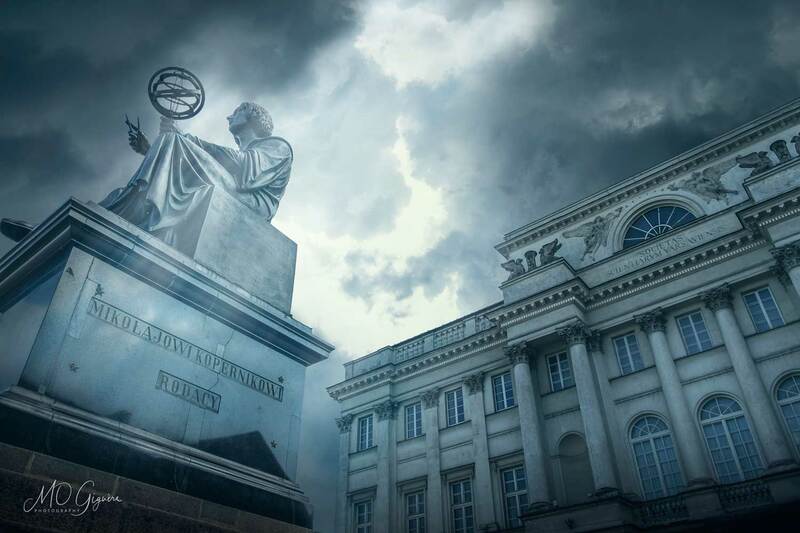 In another photo in my collection, you can see the original statue of Copernic along with the Polish Academy of Sciences building in Warsaw. ‍Want to buy this photo? The following picture is the first idea I had when I saw Copernic statue. 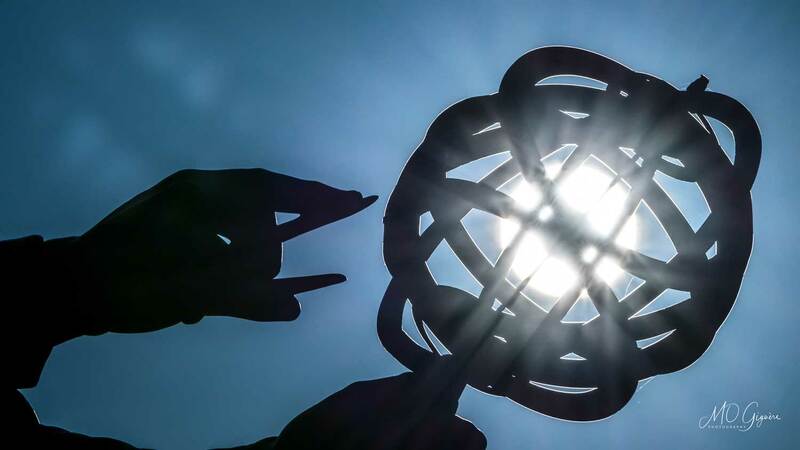 Having a closeup of the solar system and Copernic's hand makes that picture more abstract and intriguing. I actually really like that picture a bit more than the one that made the cut because the hand on the left and the solar system on the right creates a very strong story. Now, I don't need to see the whole statue to know that this is Copernic's hand. Also, what's really powerful in that photo is that you can see the sun within the sun; both discs are very well defined.